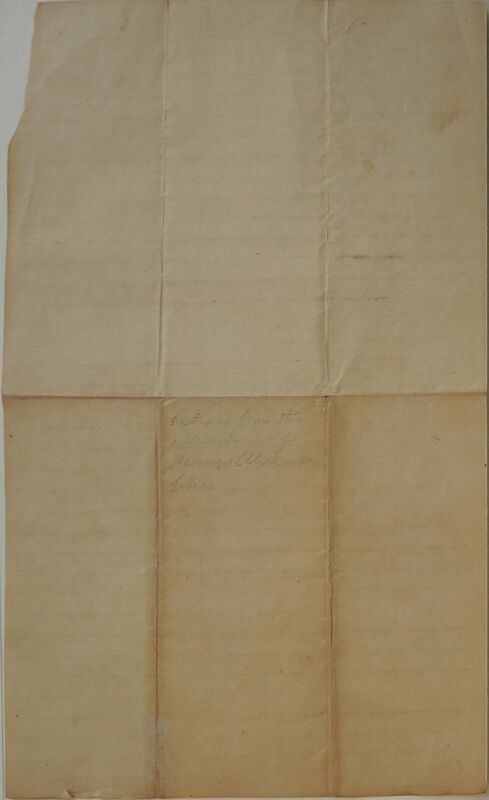 The Will of Frances Alexander was admitted to probate on the 30th Decr. 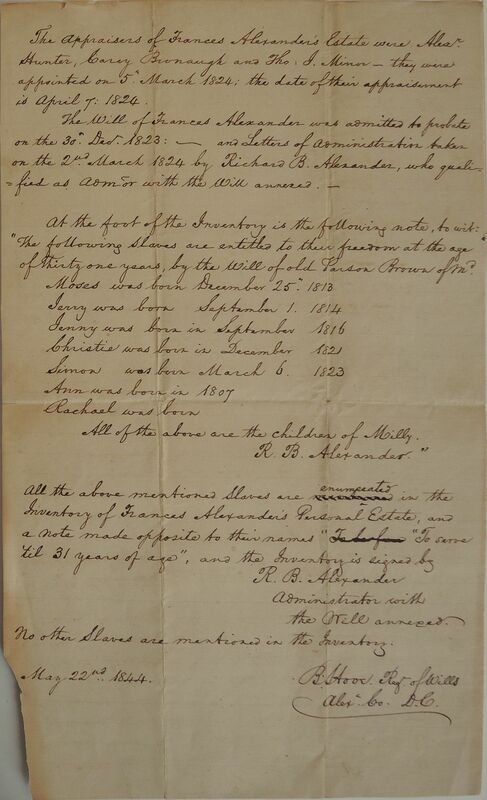 1823: and Letters of Administration taken on the 2nd March 1824 by Richard B. Alexander, who qualified as Admor with the Will annexed. At the foot of the Inventory is the following note, to wit: "The following Slaves are entitled to their freedom at the age of Thirty one years, by the Will of old Parson Brown of Md. All of the above are the children of Milly. Administrator with the Will annexed. No other Slaves are mentioned in the Inventory.